Despite the fact that bats are active after sunset, they rely on the sun as their most trusted source of navigation. Researchers from the Max Planck Institute for Ornithology found that the greater mouse-eared bat orients itself with the help of the earth’s magnetic field at night and calibrates this compass to the sun's position at sunset (published online in Proceedings of the National Academy of Science, PNAS, March 29th, 2010). Since the 1940s it has been known that bats use echolocation calls for orientation at close range. 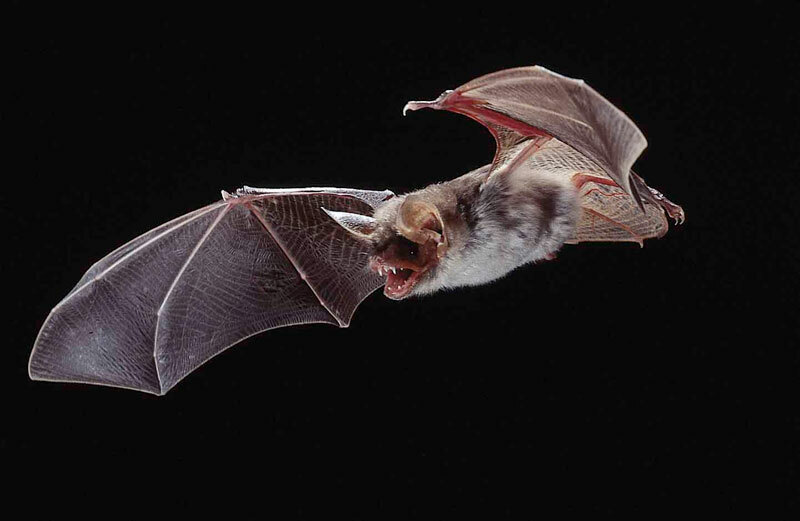 Some bats, however, fly 20 km and more away from their roost every night to search for prey. Summer and winter roosts are often over 50 km apart and some species migrate even up to 1000 km each year across Europe. Recent evidence has shown that bats utilise the Earth’s magnetic field for orientation on longer journeys. Scientists of the Max Planck Institute for Ornithology have now confirmed this finding after conducting research on the ability of greater mouse-eared bats to find their way home at night after manipulations of the magnetic field at sunset. First, Richard Holland, Ivailo Borissov and Björn Siemers wanted to discover if bats are able to orient themselves at an unknown location. To do so, they captured bats and released them 25 km from their roost cave. They followed their flights with the help of small radio transmitters. Already at 1-3 km distance, most bats were heading home in the direction of their cave. "I was quite sceptical that this first part of the experiment would work," says Björn Siemers. "Therefore I was very impressed that the fastest bats arrived back in their cave only two hours after release". The precise question the researchers wanted to answer was: is this ability for orientation in unknown territory somehow related to perception of the magnetic field? And, further to this, do the bats then calibrate their magnetic compass to the sun like migrating birds? The three researchers altered the direction of the magnetic field from north to east for half of the bats during sunset with the help of a device called a Helmholtz coil. And in contrast to the control group, these bats flew about 90 degrees east instead of south to their home cave. The decisive last part of the experiment was to repeat the procedure at night. Again the magnetic field of half of the bats was turned from north to east, but only after all signs of sunset had vanished from the sky. In this case the bats with an altered magnetic field flew in the same direction as the control bats. "The manipulation of the magnetic field was only effective in combination with the sunset", says Richard Holland. "Greater mouse-eared bats used the position of the sun at sunset as the most reliable indication of direction, and calibrated the magnetic field with it to use it as a compass later that night". For the bats, sunset means west, regardless to what their actual magnetic field is telling them. Due to iron deposits in the local earth’s crust, the magnetic field is known to vary unpredictably. It seems therefore that the animals find the sun to be a more trustworthy source for direction. This result is remarkable, given that this species usually emerges from their caves after sunset. "After the bats became active, we were able to see where the sun had disappeared even an hour after sunset", says Björn Siemers. This ‘glow’ seemed to be sufficient for the bats orientation.